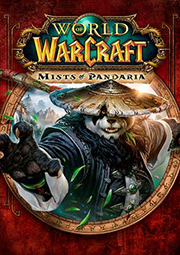 World of Warcraft: Mists of Pandaria is the 4th expansion for World of Warcraft. The intro cinematic is the only pre-rendered cinematic for this expansion. It debuted at Gamescom 2012 in Germany. 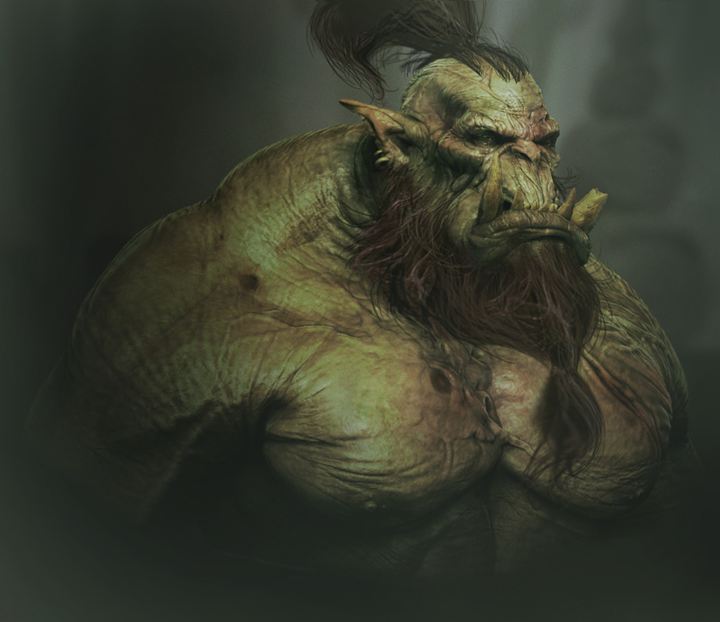 Harkening back to the original orcs vs. humans premise of the early Warcraft games of the 90s, the cinematic begins with the familiar races duking it out true to form. Slowly, however, a new character is introduced to this struggle and the enchanting world of Pandaria is revealed. You'll notice that this cinematic moves through a number of lighting scenarios throughout the course of the film. It starts in darkness, then daybreak, followed by morning in the mist and finishes with a gorgeous, sun-filled landscape. The concept team and the lighting artists worked closely together to keep everything lit properly over time. 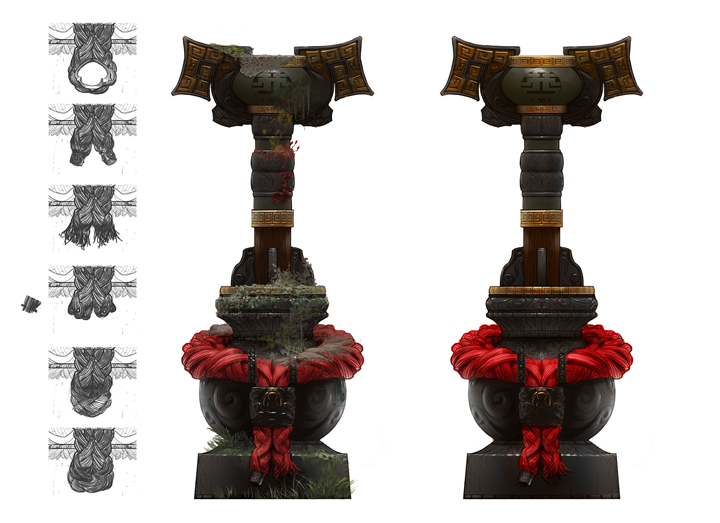 One of the concepts that drove the overall style direction. 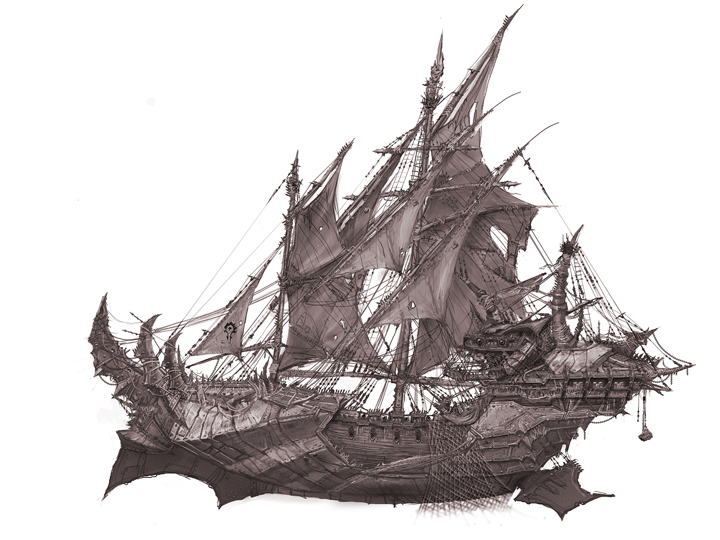 Concept by Mathias Verhasselt. In contrast to much of their previous cinematic work, the Blizzard cinematics team strived for a more stylized aesthetic for this cinematic. Character proportions were less realistic, and facial expressions were pushed more with things like squash and stretch. On the whole it gives the cinematic more of a designed and fun look that is more faithful to the highly stylized game art in the World of Warcraft series. The following video shows the storyboards, color script and animation passes. Each of these are key phases in the making of a cinematic. Senior Project Producer: Phillip Hillenbrand, Jr.
Technology Team: Brett Achorn, Michael Beal, Cameron Chrisman, Rudy Cortes, Jeff Hill, David Keegan, Piotrek Krawczyk, Huong Nguyen, Chris Rock, Billy Shih, Peter Shinners, Michael Su, Yun-Chen Sung, Robert Thomas, Theresa Wolf, Tom Craigen, Jr.